It must be a truly awful thing when a city falls. What happened to Baghdad when the Americans took it was nothing compared to what happened at the end of a siege in the ancient world. The armies of old fought hand to hand, and when they finally breached the wall of a city—often after years of fighting—there was no holding them back until the bloodlust had finally been satisfied. Surrendering men should not be killed—but there is a time to surrender, and when it has past, you might as well fight to the end. 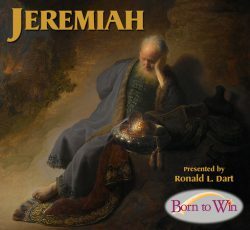 In a way, this was a message Jeremiah had tried to give to Israel for a very long time. His warning? If you surrender now you will live. If you defend the city you will die and the Chaldeans will burn it and you with fire. That’s a very straightforward message. There isn’t very much in the Book of Jeremiah about the actual fall of the city, but there is a book about the aftermath. It’s called Lamentations. It is a kind of poetry, a song of lamentation—perhaps it could be done as an oratorio. And for all that, it is much more powerful than a simple factual account could ever have been. Jeremiah doesn’t just give us statistics. He means to evoke in our minds a sensitivity, a feeling, an emotional response to what has happened. 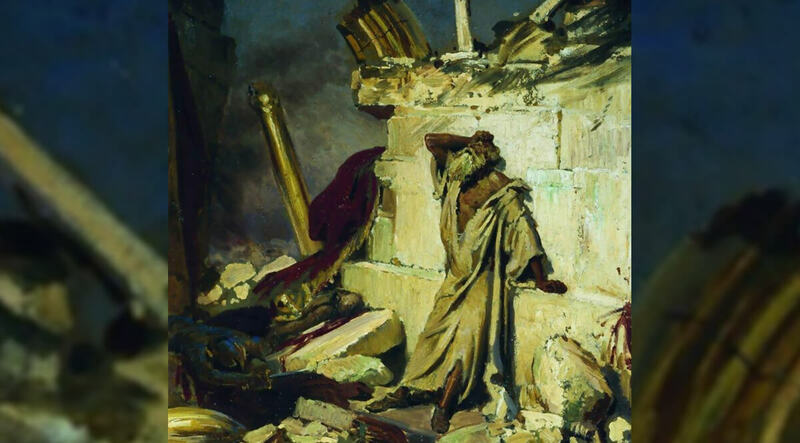 As we begin, listen, not just to the words, but to the feelings of Jeremiah as he laments what has happened to Jerusalem, the golden city.